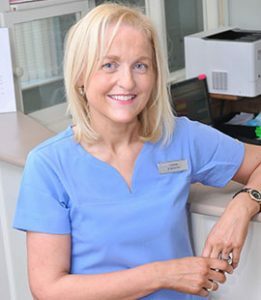 Bernadette established Church St Dental Practice in 1998. She has grown the practice steadily since then. She has a keen interest in keeping up to date with the latest dental technology. Having completed her dental degree in University College Cork she then obtained a post graduate diploma in Clinical Dentistry from Trinity College Dublin. Bernadette is an active member of the Irish Dental Association, attending lectures and conferences frequently.